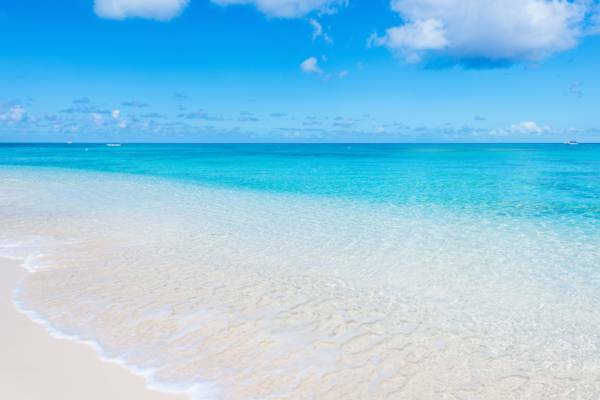 Found fronting the capital of the Turks and Caicos, Cockburn Town Beach offers many beautiful beaches interspersed between jetties and sea walls. Access is quite easy due to the beachfront Front Street that follows much of the coastline. The beautiful beach at Cockburn Town, Grand Turk. This page refers to Cockburn Town Beach, for the town, see Cockburn Town. Fronting the capital of the Turks and Caicos, Cockburn Town Beach offers beautiful white sand, clear water, and a British Colonial Architecture backdrop. This beach is part of the Columbus Landfall National Park. Due to be situated not far from the barrier reef and deep water off the Turks Island underwater plateau, there can be a bit of surf when the ocean swell is high. However, the typical conditions are calm and delightful. Due to seawalls, jetties and docks, Cockburn Beach is broken into many small beaches. Most of Grand Turk’s restaurants and inns and hotels are located on or quite close to this beach, so you’ll won’t have to look far to find a bite to eat or a drink. Small gift shops, street vendors and the historical attractions of the National Museum and Her Majesty's Prison are only a short walk away. Sand, ocean and shells at Cockburn Town Beach. Although the snorkelling from the beach on Grand Turk isn’t quite up to the level that’s found on many of the other islands in the country, Cockburn Town Beach does offer some interesting sights. Weathered shelves and gullies, once vibrant reefs, line much of the shore. You’ll see some rocky formations breaking through the sandy bottom and colourful reef fish, along with the occasional yellow sea fan or piece of coral, but there won’t be any reefs or larger sea creatures. Access to Cockburn Town Beach is very simple. Simply look for a spot that suits you. The oceanfront Front Street and Queen’s Street allow for easy access and parking on the northern section of the beach. On the southern end, Duke Street follows the ocean one small block back from the beach, but you’ll find accesses between many of the small villas and houses here. The access near the Sandbar Restaurant on Duke Street offers convenient parking and what is probably the best snorkelling in the area. 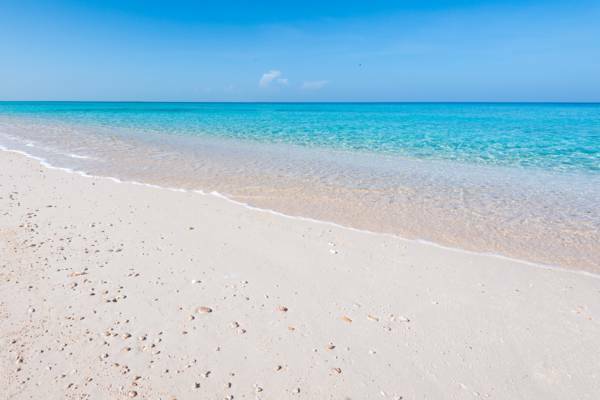 As is the case throughout the Turks and Caicos, all beaches are public and free. Beachfront parking can be found here.